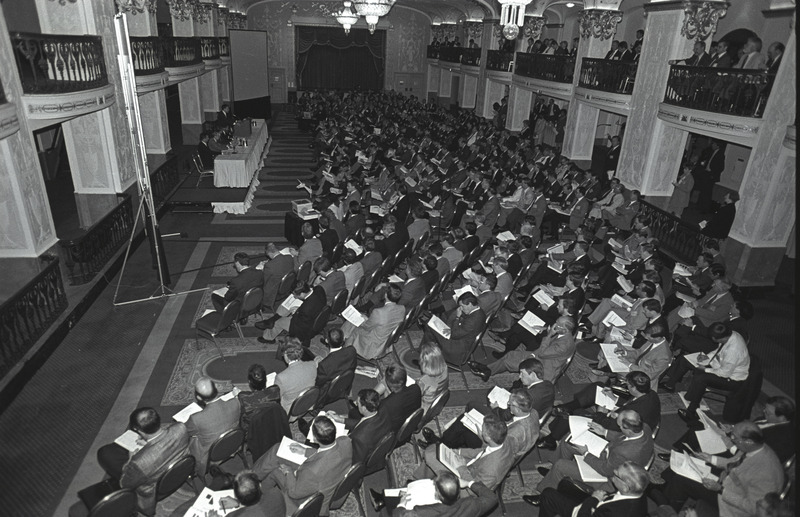 The NRC’s first Regulatory Information Conference was held at the Mayflower Hotel in Washington D.C. on April 18-20, 1989. It began as a small conference (some 500 attendees at the first one) on nuclear safety regulation. Today, it is a large public meeting with more than 3,000 attendees from some two dozen nations. In 2015, it will be held at the Bethesda North Marriot Hotel and Conference Center in North Bethesda, Md., from March 10 through 12th. Registration will open early in 2015. Now for our history question: Which Executive Director for Operations made introductory comments at that first RIC? The NRC baseline nuclear power plant inspection program is also seriously flawed. Another reason for other countries not to attend this information conference. Unless, of course, they want to find out what not to do. US nuclear plant after nuclear plant gets on the NRC “troubled plant list” not because of any NRC inspection findings at the plant but because the plants experience serious operational events. Furthermore, once the plants have been shutdown the NRC gets all over them and low and behold between the plant and the NRC many other problems at the site are found. Where the hell was the NRC?! Licensees each pay millions of dollars every year for NRC baseline inspection services. Why should they continue to invest when the services rendered are so poor?! I am surprised that other nations would even bother to attend a US NRC Regulatory Information Conference. Thanks to the NRC and the DOE we have set a very poor example for the global nuclear industry on safely storing high level nuclear waste. The US is letting it pile up all over our country. This of course creates a huge national security and public safety problem as it makes all of our nuclear sites prime terrorist targets. Other countries are responsibly placing high level wastes in safe centralized repositories far away from major population centers. Perhaps, tongue in cheek, the NRC is waiting for a Chernobyl-type accident to occur in the US to solve our high level waste problem. As you know there is still a 20-mile exclusion zone around Russia’s Chernobyl accident site, 28 years since the accident! The Russians now store their high-level waste from their other reactors within this zone. How much longer is the NRC going to screw around with US public safety?! Hopefully this upcoming Conf. will be streamed via the Web and allow questions from the global audience for all those that cannot attend in person. I predict that more non-NRC professional than ever before attend the upcoming Conf. because of the heightened awareness caused by Fukushima and San Onofre, not to mention the radioactive waste problems at DOE/DOD installation. Yes, correct. Victor Stello, Jr.
Did any of you attend that first RIC and want to share your memories? Victor Stello, Jr was the EDO in 1989. Was it Mr. Victor Stello Jr.?